Hot Rod Filtered Tubes are quickly becoming a customer favorite among the tobacco community. Hot Rod Filtered Tubes are produced with only the highest quality paper and premium filter element. These quality tubes provide the ultimate in smooth, refreshing pleasure. 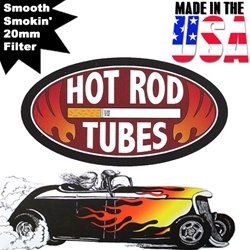 Hot Rod Filtered Tubes are available in King Size: Regular, Smooth and Menthol. Forget about the high cost of retail stores brands and start tubing with Hot Rod Filtered Tubes today! Here at Smokers Discounts we’ve made it easy and affordable to buy tobacco products online. Call us for more details!